I recently discovered that a local supermarket has several brands of very good ginger beer. I am fond of the stuff, which is a sort of ginger ale with serious attitude. On my last supermarket trip, I came home with a carton of Fever-Tree Premium Ginger Beer. 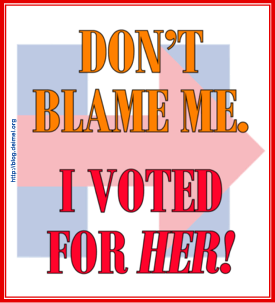 It’s good stuff. Eventually, I got around to reading what was inside the carton. The text suggested that Fever-Tree ginger beer can be used “to create the perfect gin and tonic.” (The ginger beer includes quinine, apparently, so it has more than carbonation in common with tonic.) Conventional mixers mask the taste of fine spirits, I was told. 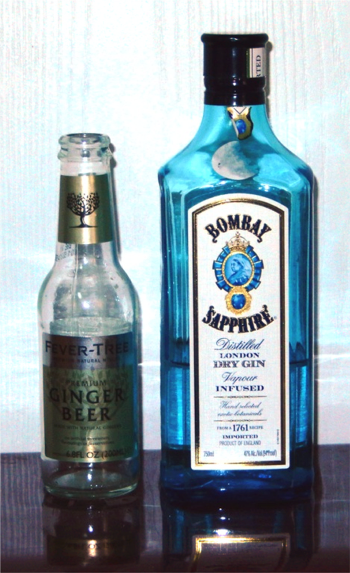 I like gin and tonic, and I am particularly fond of Bombay Sapphire gin, so I though I would give ginger beer a try as a substitute for tonic. I poured two ounces of gin over ice and filled the glass with Fever-Tree ginger ale. The result was tasty, but it tasted simply of ginger beer. The subtle combination of tastes of Bombay Sapphire was completely lost. In fact, I couldn’t taste the gin at all! Bottom line: I recommend Bombay Sapphire Distilled London Dry Gin, and I recommend Fever-Tree Premium Ginger Beer. I don’t, however, recommend drinking them together. Bombay is my favorite gin. I actually have never tried ginger beer. If not together, how about in series? I’m not sure what you mean by “in series.” I recommend trying ginger beer, however. Not all brands are alike, so you may want to try more than one variety.